So baby shower number one has come and gone which means I am now free to post pics of the Top Secret baby item I was working on! 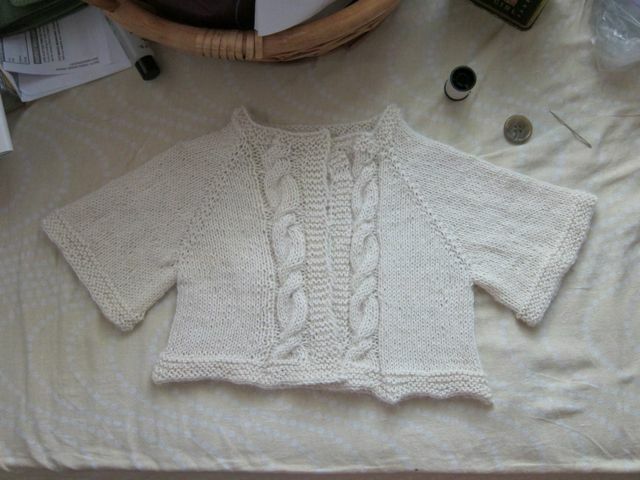 This is the Cabled Raglan Baby Sweater by Rebecca L. Daniels. 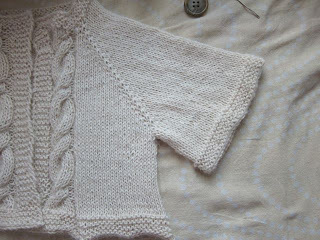 The pattern is available for free via Interweave. 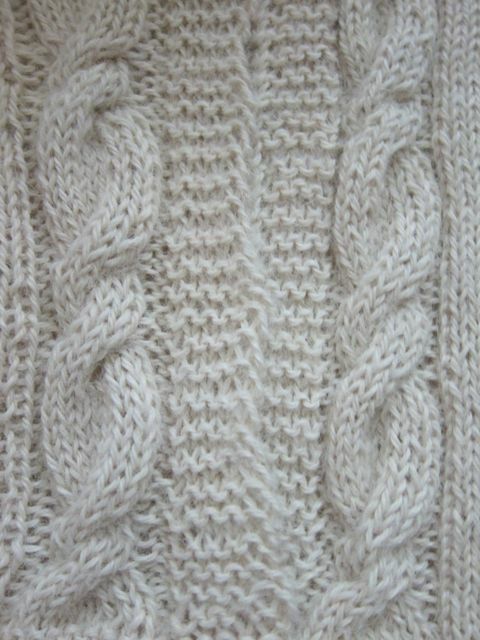 It is a top-down raglan sweater. I loved making this. 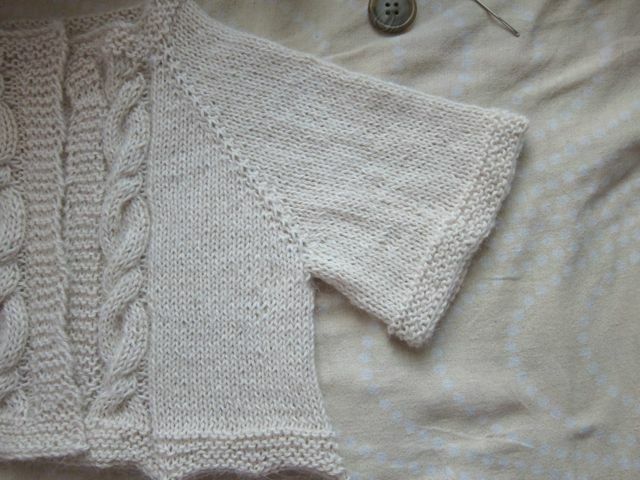 It was an easy but compelling project and small enough to carry on the train! 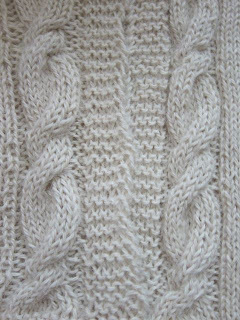 I loved the little cable borders too. AND since its knit in one piece it requires minimal sewing, yay! One of the hardest things was choosing a button. The button itself is purely decorative. There is a snap closure underneath it. 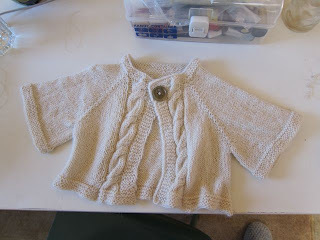 Oh, and yes, this is the same yarn I used for Deidre's Blizzard Scarf. I have it in bleached and unbleached. This is the unbleached.